What hideous weather it's been recently... perfect for a trash the dress shoot jah? If you've never heard of the phenomenon that is 'Trash The Dress' the have a gander at Pinterest and you shall see. I have to say that this is one of those wedding trends that I really don't like. It's been around for a few years now and seems to still be going strong. It makes so little sense to me, yes you get some pretty pictures but why in the name of all that is good, would you want to destroy something which a) cost you a load of money and b) is probably one of the nicest things you own? You wouldn't drive your car like a loon and crash into a tree so that you could have some awesome video footage of yourself in a James Bond style car chase scene would you? So why the desire to roll around in mud or have paint thrown at your beautiful dress? Personally I think this trend is just plain odd, you might as well literally burn some money. What has happened to the days where dresses were passed down through the family and altered and adjusted? I intend to keep my dress and I would dearly love to hand it down to my daughter (should I have one someday). If not then I'll likely shorten or dye it and wear it again (more on wearing your dress again in another post soon). But if you're dress isn't the sort that you could wear again then the most obvious thing is to sell it on, make back some of that money you spent and let someone else enjoy that thing of beauty. There are lots of dedicated websites for reselling your dress (and other aspects of your wedding) as well as good old ebay. If you're a charitable soul then maybe you would consider donating your wedding dress to a worthy cause, wouldn't that be so much better than trashing it for the sake of some photos? The idea of a post wedding shoot however, is a great one especially if you didn't get the images you were after on your wedding day for whatever reason, or maybe you couldn't afford a photographer in the first place? 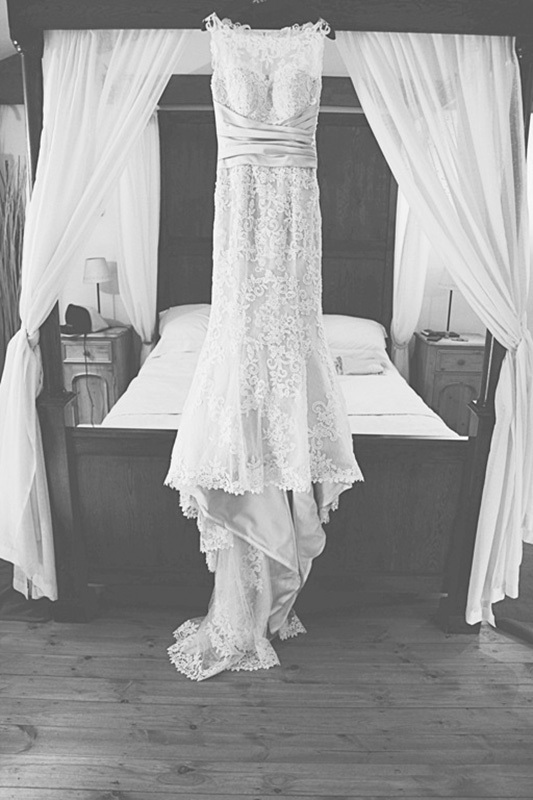 Keep your eyes peeled as next week we're running a competition to win a post wedding photoshoot! I hate this trend too. It's selfish, destructive and bratty. It's also just another way to waste money when you don't have to. Even if you don't have the skills yourself to make a white or very elaborate wedding dress into something you can wear again, I bet someone in your area does (or yes, sell it, donate it or hand it on to someone who *does* want it). I love trash the dress sessions. Especially in mud!